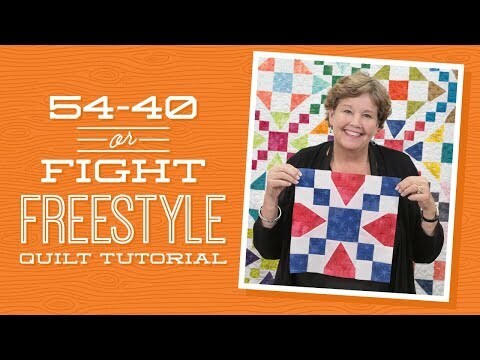 Digital Download - 54-40 or Fight Freestyle Quilt Pattern by Missouri Star - Missouri Star Quilt Co. - Missouri Star Quilt Co. Dig deep into quilting history with a beautiful block that's been around since the mid-1800s! It's just as gorgeous today paired with the Shoo Fly block and easier to piece than ever with this freestyle variation. It would make a marvelous gift for your favorite patriot! All you need to get started is a pack of your favorite 10" squares, a light background fabric, and a contrasting outer border.